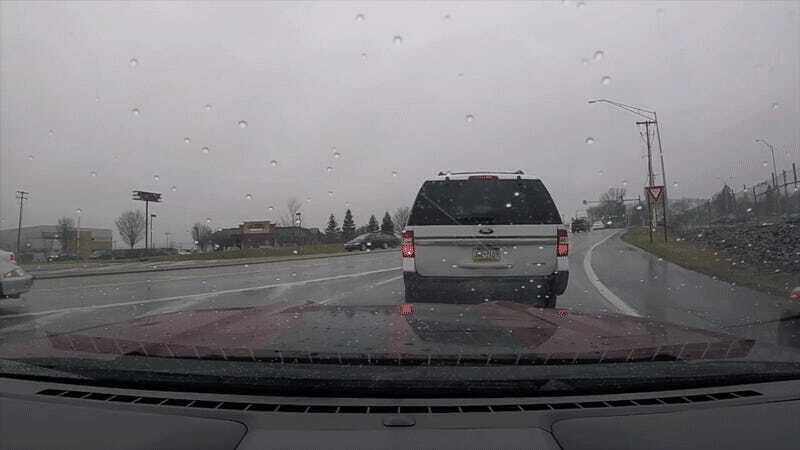 On a miserable gloomy day, stuck in miserable, gloomy traffic, one impatient road-rager got an unfortunate surprise when they tried to pass everybody else very illegally on the right. It may be unhealthy to go about your daily life like me, a driver who lives in constant fear that anyone, anywhere could be a cop. But hey, it keeps me from doing stunts like this.